Activity happens on all days. 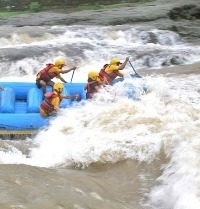 Kundalika Rafting - A 14 km stretch of sheer adrenaline-pumping white water. If you get your thrills from pitting yourself against the elements, navigating the rampaging Kundalika's white waters on a raft is perfect for you. It's wet. It's wild. It's thrilling. It's quite literally a rush. The Kundalika which originates from the Shayadris and meanders through several twists and turns makes Kolad one of the adventure hotspots near Mumbai. The monsoons make it so beautiful that it would be a sin not going rafting on the Kundalika when staying as close as Mumbai or Pune. It's just a 2 hour drive from either cities. 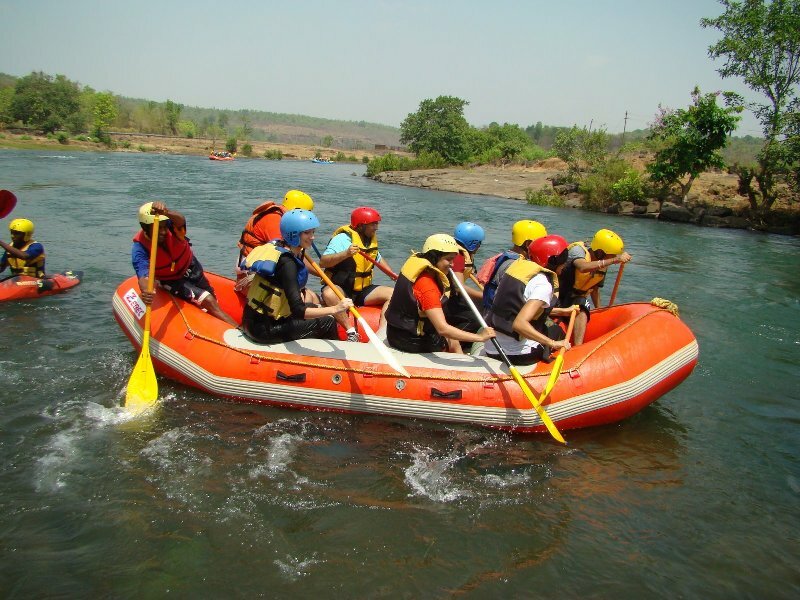 Rafting at Kolad is a 14 kms stretch of roller-coaster ride on the waters gushing out from the Bhira dam. 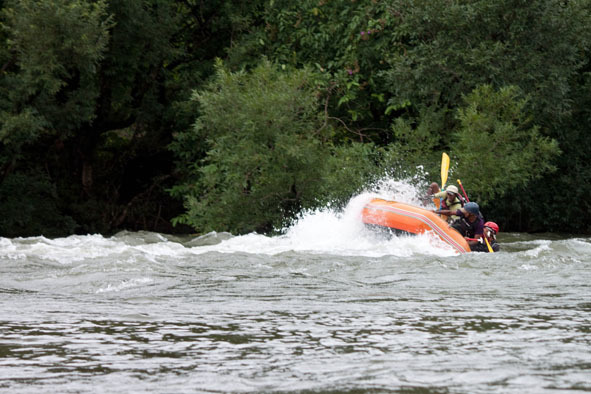 It presents you with as many as 10 grade II and grade III rapids to find out for yourself your appetite for thrills. 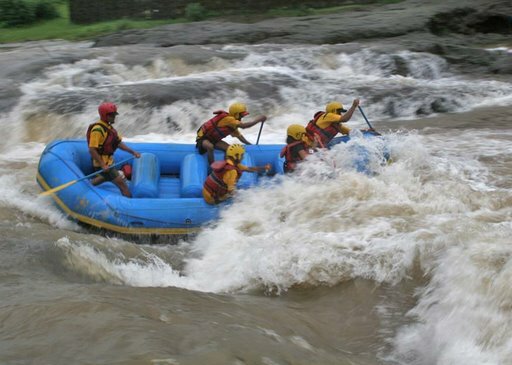 At the end of 90 minutes of rafting, you might be tired but you will definitely feel refreshed. Towards the end of the trip the waters become quite calm and you can climb down for a swim if your guide permits. Safety is given utmost importance with experienced guides helping and guiding you at every moment. Life-jackets and helmets are mandatory gear and will keep you safe throughout the trip. * This activity is not recommended for asthma and heart patients, pregnant ladies and children below 14 years of age. River rafting down the Kundalika. T Shirts, shorts and floaters or sports shoes for rafting. Saris and salwar kameez are not at all advisable and ladies wearing them may be denied rafting. Take the NH 17 Goa highway till Kolad. 1 Km after the Kolad Market, turn left on the SH 60 to Pune. From there it is 8 Kms to Sutarwadi. From the reporting office it is another 8 Kms to Shajey Village, the upstream starting point of the rafting trip. Participants need to park their vehicles at Sutarwadi and avail transport arranged by locals to reach Shajey village where the rafting begins. Take the road to Mulshi Dam. Drop down the Ghats. A right turn will take you to Shajey village our starting point. But we would advise you to drive down further to Sutarwadi and take public transport till the starting point. 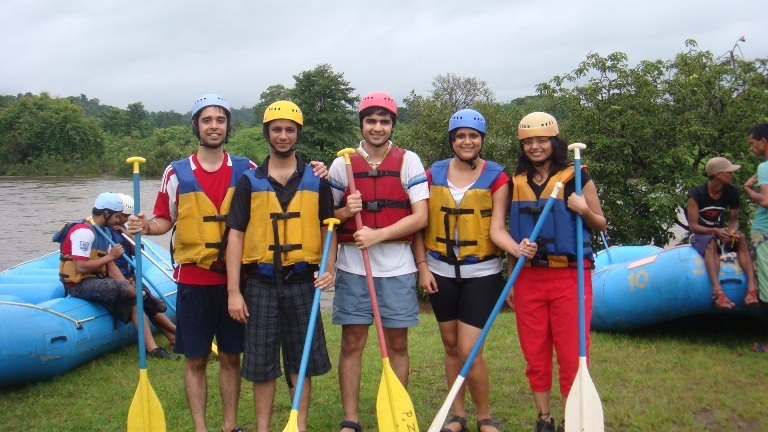 After the rafting activity you can head back to Pune directly. We have requested Mercury Himalayan Explorations to get in touch with you. Alternatively you can speak to Pankaj Das from Mercury Himalayan Explorations at: +91-+9193114 68103 , in case you would like an immediate response. 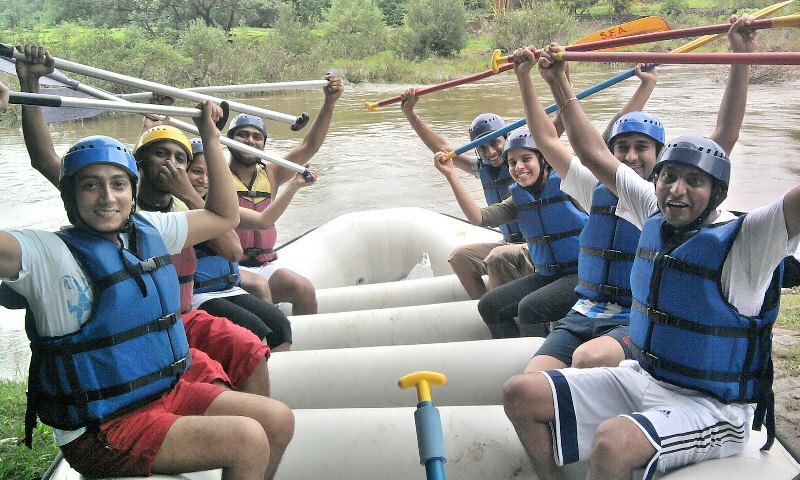 You will now stay updated about, Kundalika Rafting Camp at Kolad.